Were you ever hired by this broker to haul freight? If you found yourself left with unpaid freight bills after working with Royal Industries Ltd., be sure to call now! 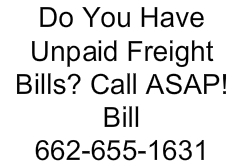 Do you have unpaid freight bills after delivering shipment for Absolute Logistics LLC? 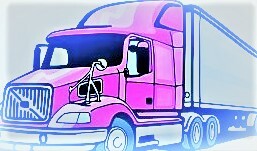 This company was responsible for connecting shippers to trucking companies. If you’ve been trying to get in touch with Absolute Logistics LLC regarding debt with them, call . Are you trying to track down this broker because they owe you for unpaid freight bills? This Washington state based company brokered deals between shippers and trucking companies.